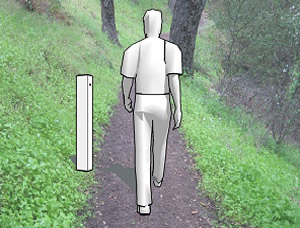 The Friends will be installing 3 TRAFx infrared trail counters along key sections of the Heysen Trail. 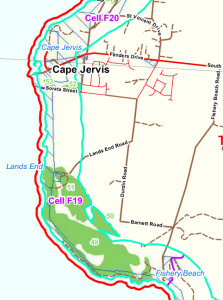 The devices count the number of trail uses giving us comprehensive data about trail use. The TRAFx device is very compact with an unobtrusive design, which reduces risk of vandalism. They will be concealed to further prevent them being stolen or vandalised. It only uses standard AA alkaline batteries and has very long battery life. Their placement location is yet to be decided, we’ll provide updates as we progress the planning and rollout. In addition, there are similar trail counter in Warren Conservation Park, at the Watts Gully trailhead, which is monitored by the Walking Trails Support Group with data collated by Walking SA. 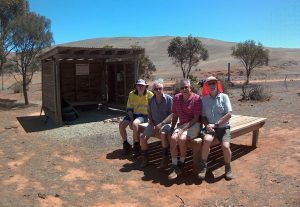 The Friend’s Trail Maintenance Shed Open Day – Saturday November 25, 2017. 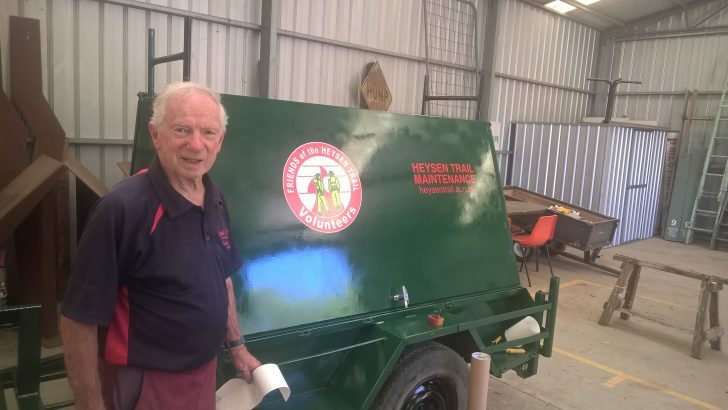 Did you know the Friends of the Heysen Trail operates a Maintenance Shed at the Cobbler Creek Recreation Park? Wondering what goes on behind the scenes of the Trail Development and Maintenance program? Did you know we have a working partnership with the Work for the Dole scheme to produce toilets and platforms? Find out more about the infrastructure and maintenance program. Socialise with like-minded members, free BBQ and drinks on offer. When Saturday November 25 2017, 11.00am to 2.00pm. Where ‘The Shed’, Cobbler Creek Conservation Park, east of the intersection of Smith and Bridge Rds, Salisbury East. 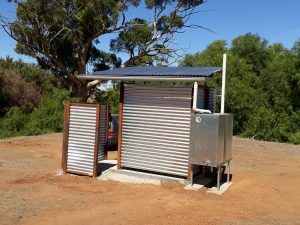 By Christmas we will have 3 new toilets and 15 camping platforms ready to install at a range of locations along the trail. Are you interested in helping with the installation project? You don’t need to be highly skilled, although some lifting work may be involved. Would you like to be notified of future maintenance events ( i.e. weekday or weekend trail trips, our End to End Maintenance weekends and shed work days)? We have a range of work to be done including ‘lighter’ jobs such as pruning along the trail and painting huts. Do you have home handy person/building skills? Our Hut Maintenance Co-ordinator needs more assistance. If you are a skilled home handyperson or tradesperson and are willing to participate in one or two maintenance trips per year with a small group, please put your name on the list below. 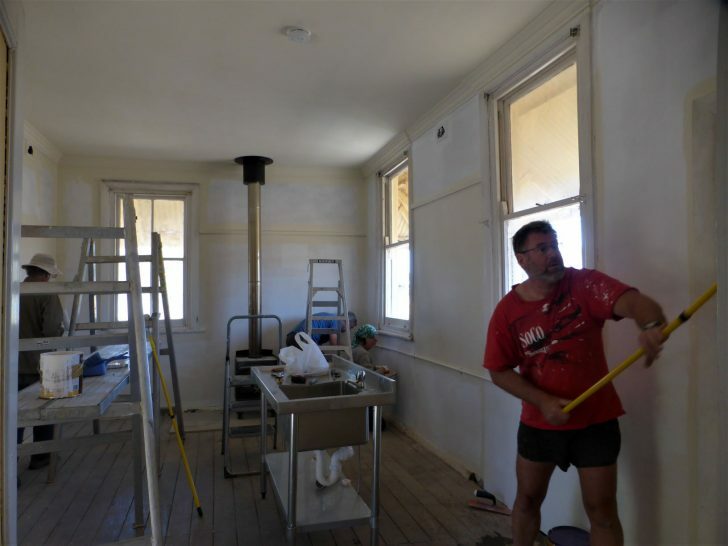 Typical work includes carpentry, painting, roofing, plumbing, glazing and plastering. If you can help in any of these areas, please let us know. You can leave your name to enter your availability preferences and interests/skills and we will add you to our Maintenance Volunteers mailing list. This is your chance to ‘give a bit back to the trail’. Provide feedback about this proposal at deepcreek.questionpro.com. We have some concerns with regard to the proposed changes, which we have outlined in our submission below. Our main concerns relate to the proposed change to the route in Bundaleer that removes the section walked from Curnow’s Hut to New Campbell Hill and consequently removes the extensive views across the Spencer Gulf as well as extending the distance. The Friends new End to End Maintenance program commenced on the Mother’s Day weekend with a two day camp based at Cape Jervis. 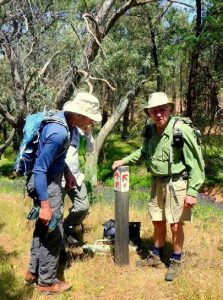 Twelve volunteers plus the section leader Albert Schmidke and his colleague, Richard Triggs worked on the Trail between Cape Jervis and Tapanappa in Deep Creek Conservation Park. The weather was perfect for maintenance work although the chill breeze later in the afternoon was piercing. As a result we had two full days of hard work maintaining the trail. 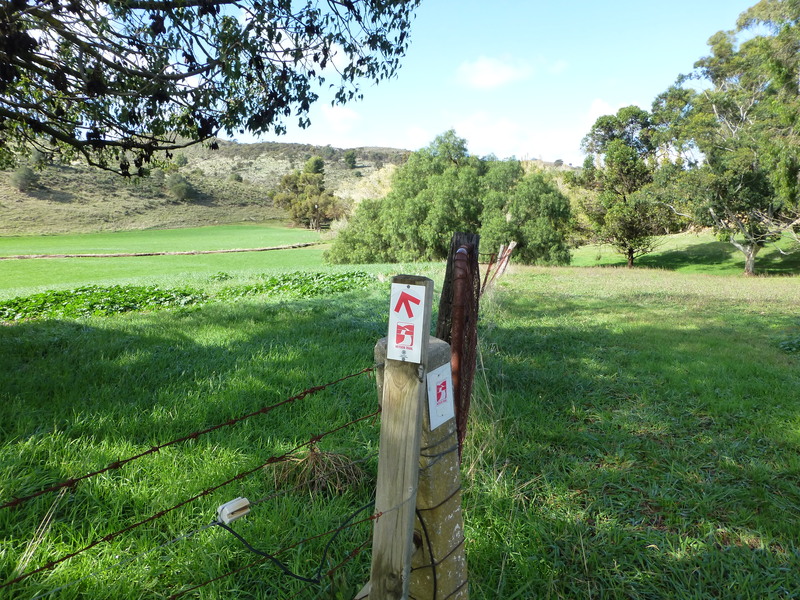 There was plenty of pruning, plating and posting – large amounts of undergrowth needed to be cut back, many old plates had faded and needed to be replaced and several new marker posts were erected to help walkers on their way. As a result, the first two sections on the trail are in good order and ready for the onslaught from End to End 12 this coming weekend. Working through two End to End sections in the one weekend proved to be a considerable challenge. While the team coped very well and the majority of the planned maintenance work was completed, some sections were a little light on as far as pruning is concerned. The team celebrated on the Saturday night with a very pleasant dinner in the Cape Jervis Tavern. Seven local guests attended the dinner in an effort to build relationships with local communities. Their responses were very positive which suggests that this initiative may assist us to enhance the reputation of the Trail and generate positive local interest. Overall the feedback from all of the volunteers and our dinner guests has been very positive. We have received several constructive suggestions about how we can improve arrangements for our maintenance next camp to be held on June 17 and 18..
For that trip we will be moving along the trail from Tapanappa to Waitpinga. If you are interested in joining the maintenance group for that weekend, you can check the details and register via the Walk Calendar on our website. More trees on the Heysen Trail – thank you to our volunteers. 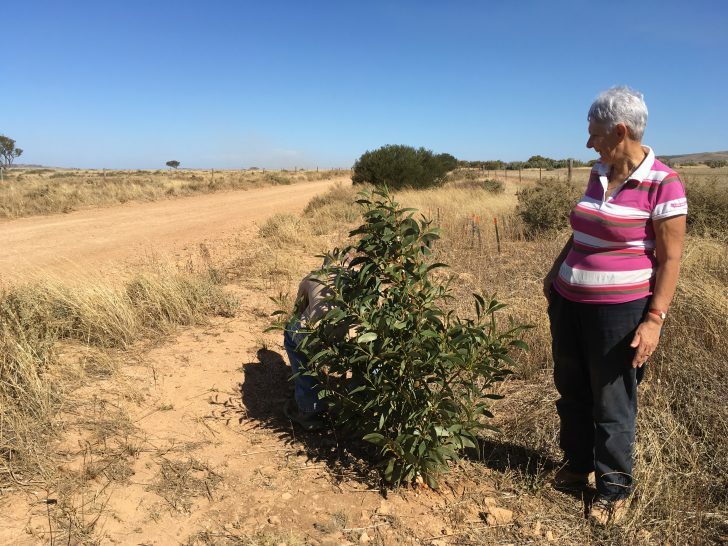 Thank you to the many volunteers who have helped plant trees on the Heysen Trail. The efforts of the Greening Committee and volunteers since 2013 are visible in a number of locations along the trail. 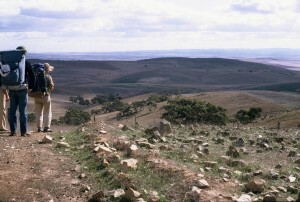 As an example of their work, the trees planted at Worlds End a few years ago can now actually be seen along the road at Duttons Trough (south of Burra). Most of the trees are still only about knee high but they are starting to stand out from the other roadside vegetation. The best of the trees is scarcely large enough to hide behind (although the photo shows Neil is having a good try!). It has almost doubled in size over the last twelve months. Our tallest tree, the Worlds End Wonder, is 1.75m and has shot up recently. 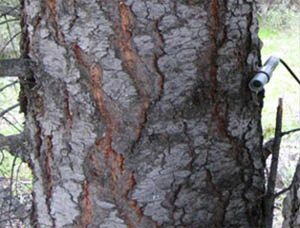 The good rains we’ve had over the last 12 months have helped, but the trees have also benefited from special care and supplemental watering provided by the Greening Committee. In addition to Duttons Trough, the Greening Committee has also managed plantings at Centennial Drive in the Mount Crawford Forest, Hiskeys Hut and along the Bundaleer Channel reserve south of Spalding. This year we are planting at Lights Pass on the Lavender Federation Trail. Thanks again to the Greening volunteers and End to End walkers who have helped. Your efforts will be appreciated by walkers in the years ahead. 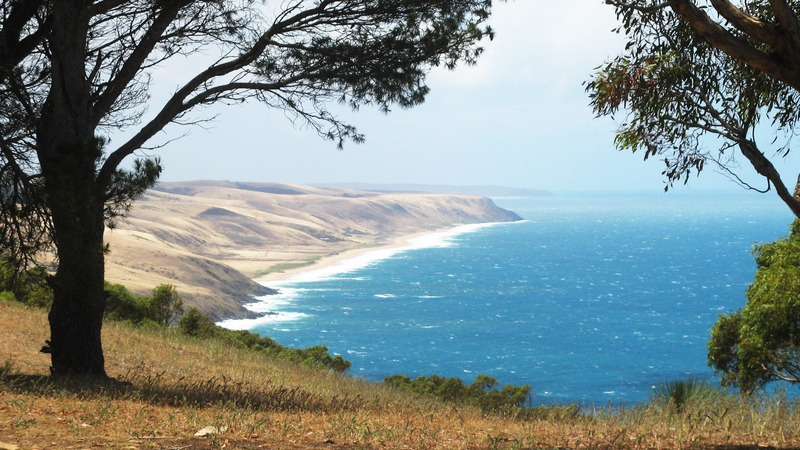 Registrations have opened for the first Heysen Trail End to End Maintenance (E2EM) week-end to be held at Cape Jervis on 13th & 14th May. If you are interested in helping out on the trail, you can register on the Friends website in the same way as you would for a walk. We appreciate the contribution you will be making to maintaining the trail, so registration is free. You may have already seen the earlier news item on End to End Maintenance weekends. If not, check it out now to find out more about the program. There will be more End to End Maintenance week-ends throughout the walking season. These are now listed on the walks program on the website. If you want any more information on the weekends, please contact the Office. Early in the New Year, you will be able to view maintenance walks program in our Walks Calendar under the new walk grade End-to-End Maintenance. 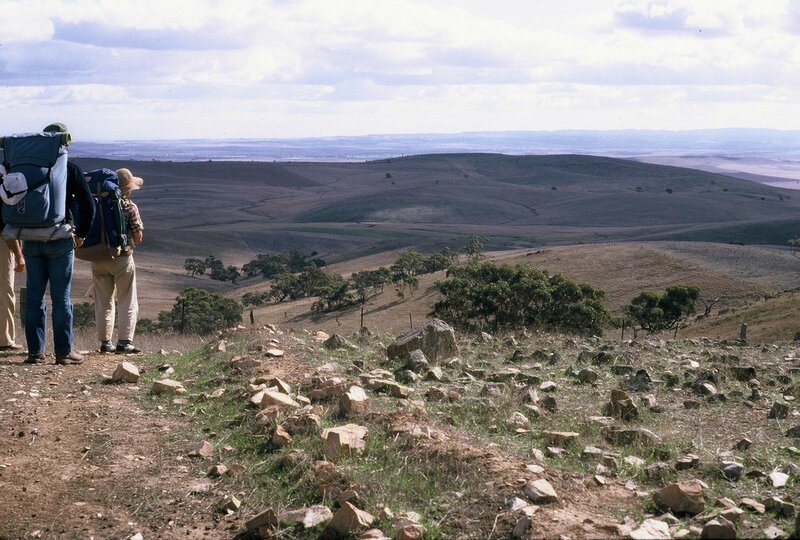 If you would like to be involved, or have an interest, please contact the Heysen Trail office.